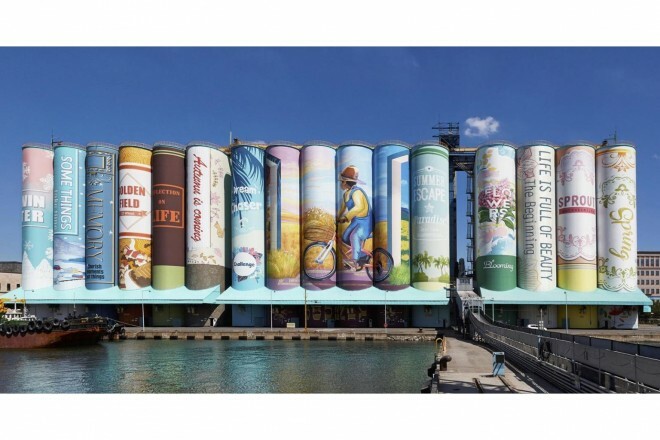 The old grain storage silo's have been given a new leash of life, after they were converted into the world's largest mural. 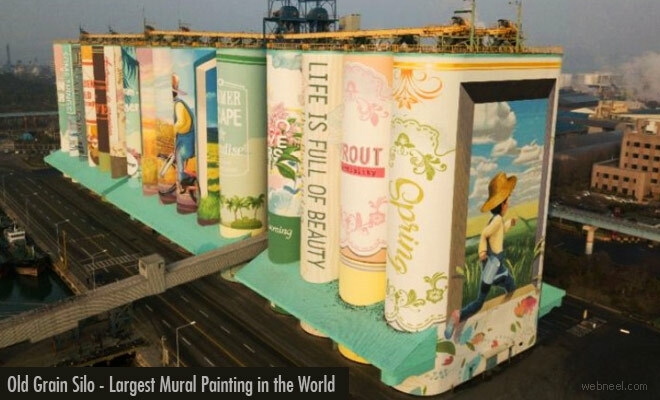 The guinness book of records have recognized this book shelf mural as the largest in the world, beating the Pueblo Levee Project in Pueblo. 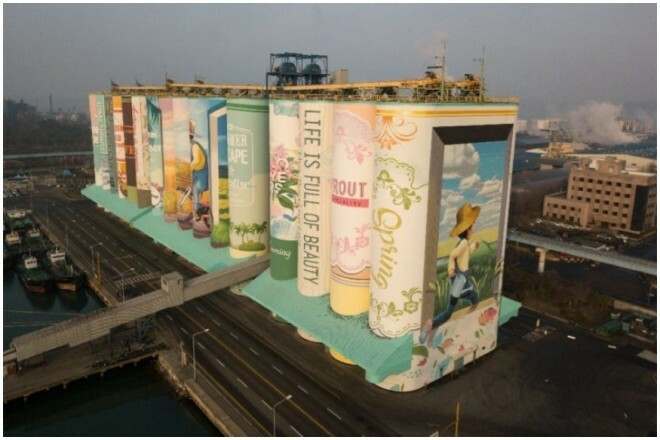 The Book shelf mural is named " Journey to Adulthood" and it's a teamwork of more than 20 artists in Incheon. 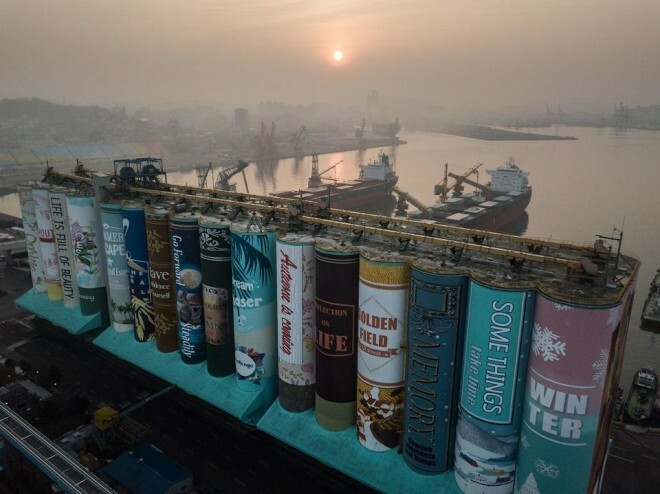 "Journey to Adulthood" mural used more than 850,000 litres of paint, which talsk about the seasons and they look like large books in a library shelf. The estimated cost for painting the largest mural was at $487,000. The large mural painting was commissioned by the city government and port authority as part of the beautification process. Incheon is one of the most sought after tourist spots and this additional mural painting is wonderful for the booming art industry. The painting speaks about a young boy travelling through his adulthood on a cycle, where he is surrounded by large colorful books. This painting is currently loocated in South Korea and it's the world's largest outdoor mural. The painting is set up on 23,688sq/m space.